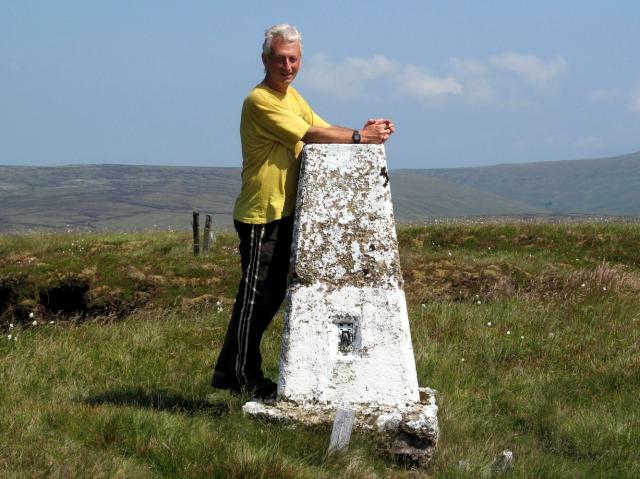 Is ranked joint 2075th with 13 other trigs (more). 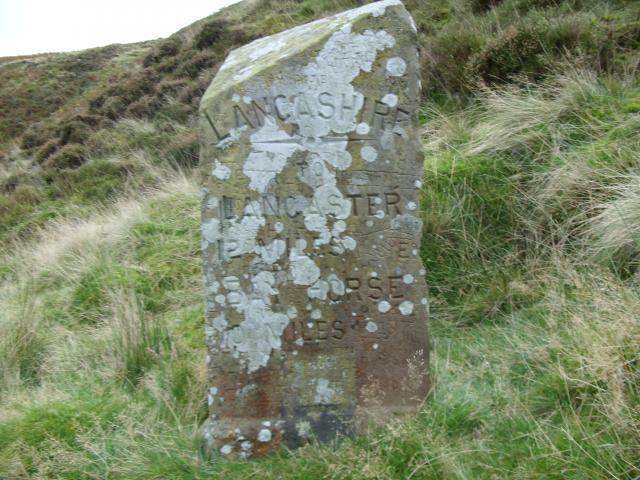 Set off from the old Lancs/Yorks county boundary (by the cattle grid) and followed the fence all the way to the top. Clear and glorious sunset views over Morecambe Bay and the 3 Peaks lined up in a row to the north east. Got back to the car to find my car keys had a made a hole in my old rucksack and fallen out..Anyone finding a a big scabble 'V 'keyring ,please take to Garstang police station to save my neck. 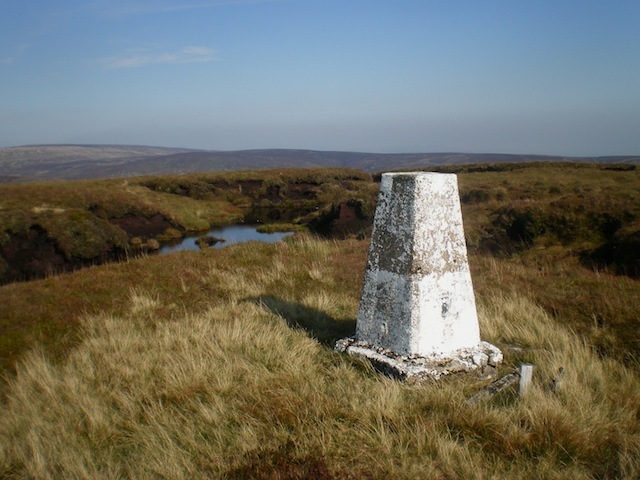 From Trough of Bowland on a clear and icy morning. Good views. 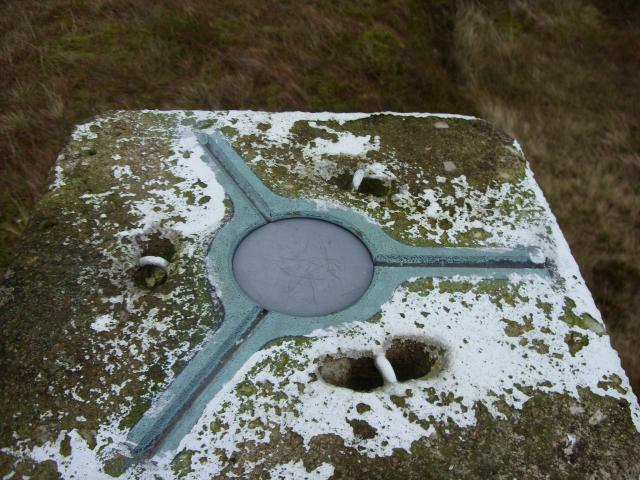 Small chip in one edge, concrete rougher than usual for trig pillars. 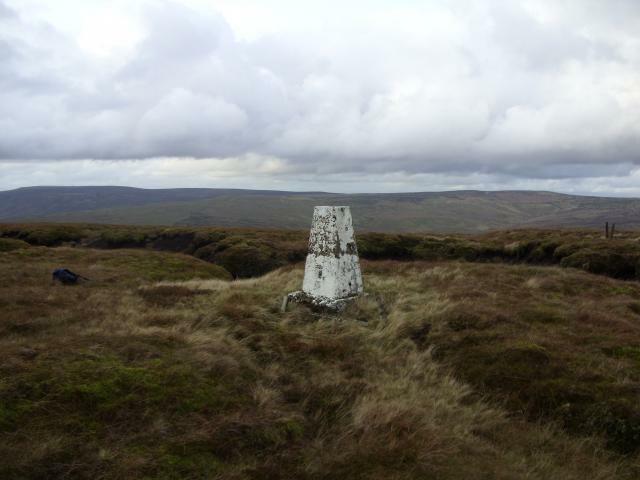 Solo from parking area by cattle grid at highest point on road through Trough of Bowland. 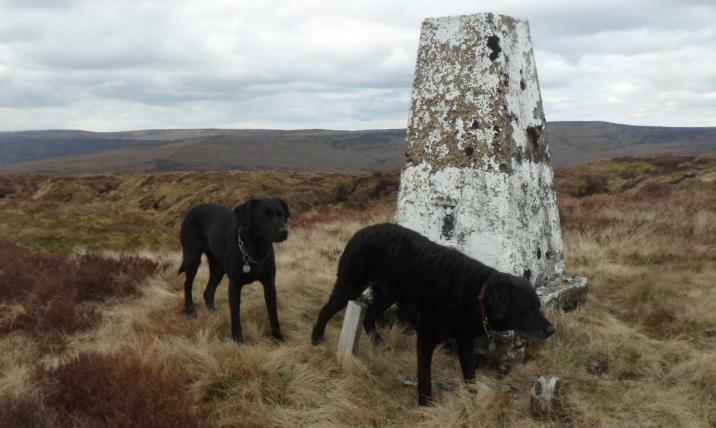 Walked up from pass after bagging Top of Blaze Moss, not too wet considering all the rain we've had in the last few weeks! 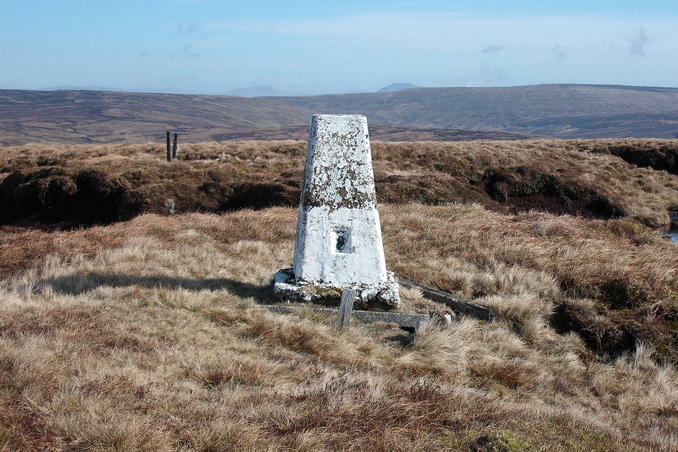 Drove around to Woodhouse Gate trig, then up to Cross of Greet bridge and did a 6.2 mile very boggy circular taking in White Hill trig and Hailshowers Fell. Also followed fence line from cattle grid, a bit boggy in places after last nights rain. Brilliant views all round especially toward the Irish sea. Followed fence from cattle grid to west on a lovely warm, sunny day. 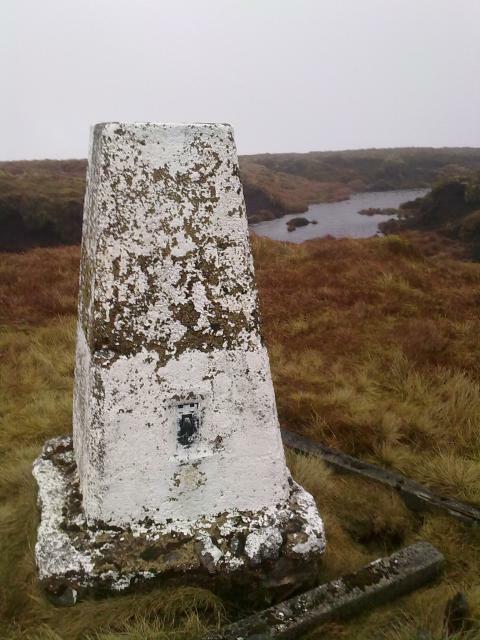 Followed Paulus66's advice and had lunch overlooking Swine Clough; excellent. 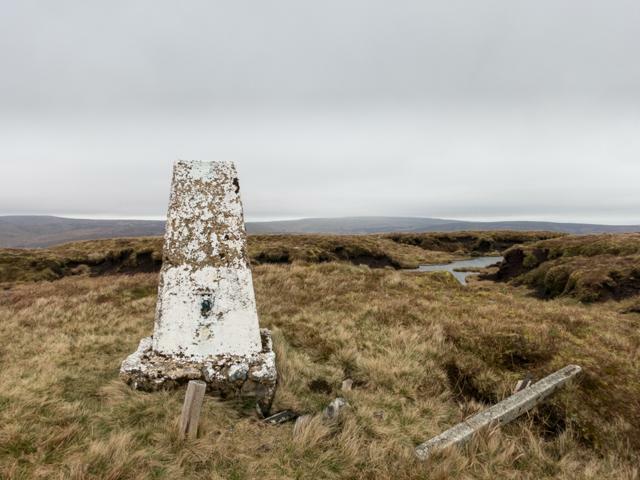 Simple half hour walk up from the road at the top of the Trough of Bowland. Good views towards the west in particular and a very short walk to the north gives a good view of the inpressive Swine Clough. superb views on a calm sunny day. walked up from water measuring station in dunsop valley. 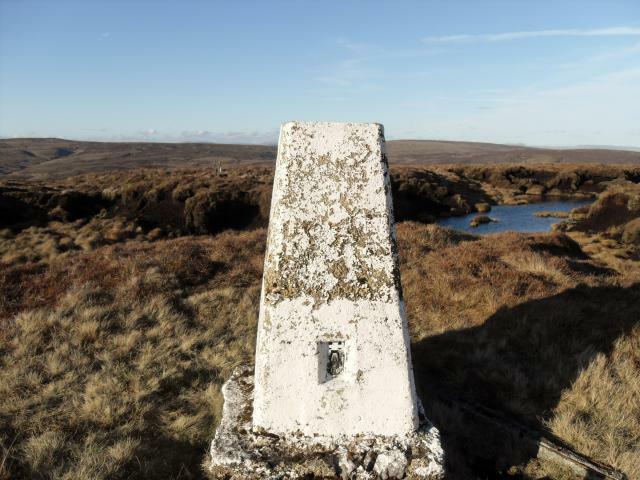 moors fairly dry today. plastic cap. 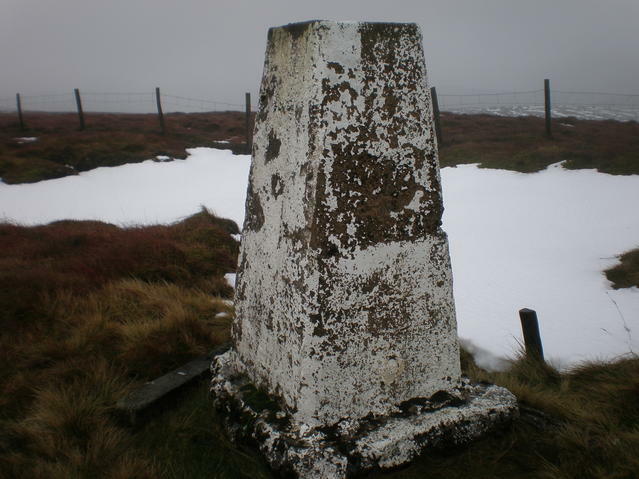 Nice walk up by fence from Trough of Bowland road - quite a bit of snow about. 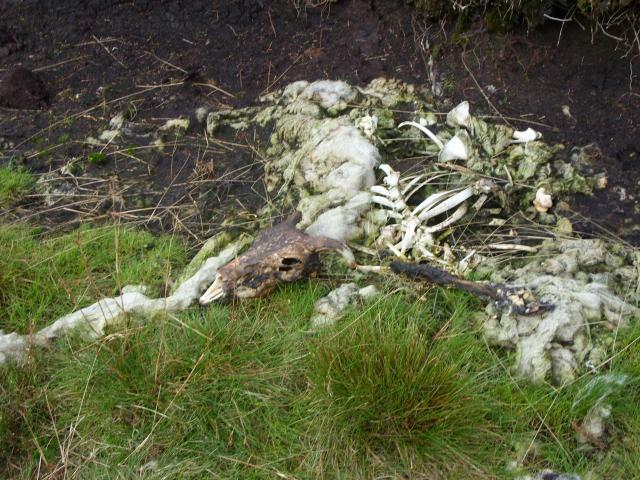 Also people out grouse shooting! Approached from SE via Witcher Well. Parked at cattlegrid and followed faint path along fence line to top. 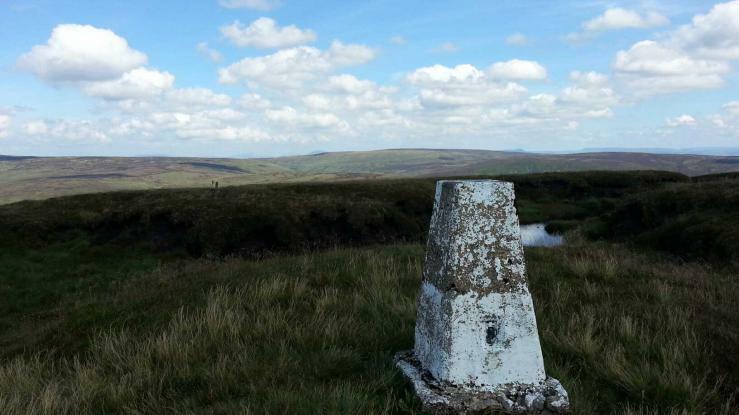 Nice views of the huge rounded hills of Bowland. Spider centre has resin plug. 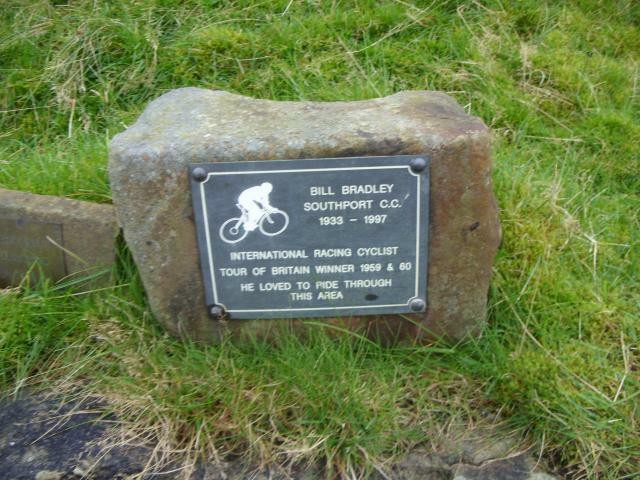 Visited on way to Whitendale Hanging Stones one of the claimed centres of Great Britain. 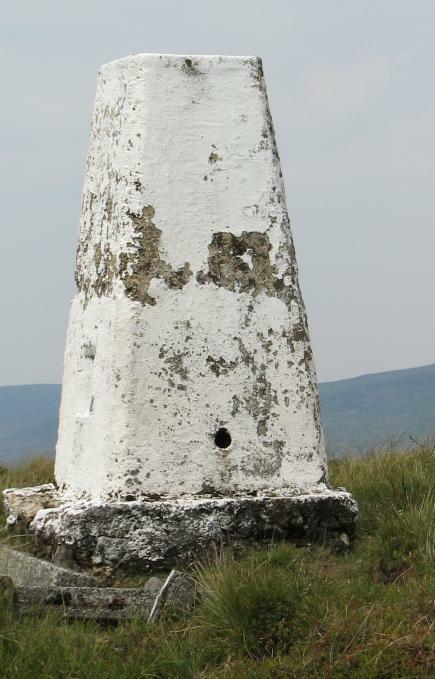 HISTORY: Pillar completed 9th July 1948, no record of cost. 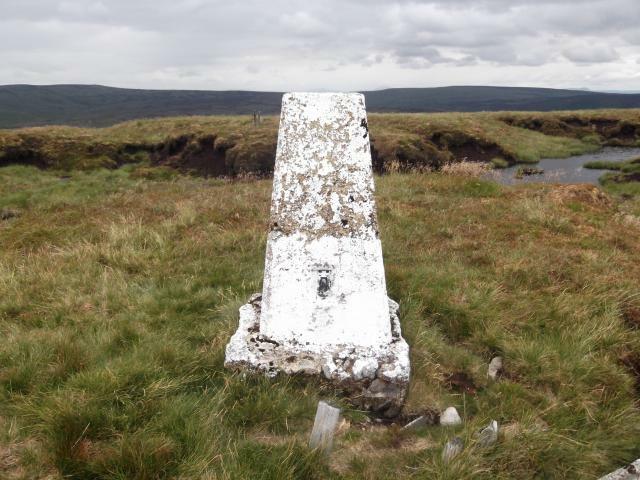 Computed as secondary triangulation station SD47/16 within the Barrow-in-Furness block during 1948. Levelled for height also in 1948. 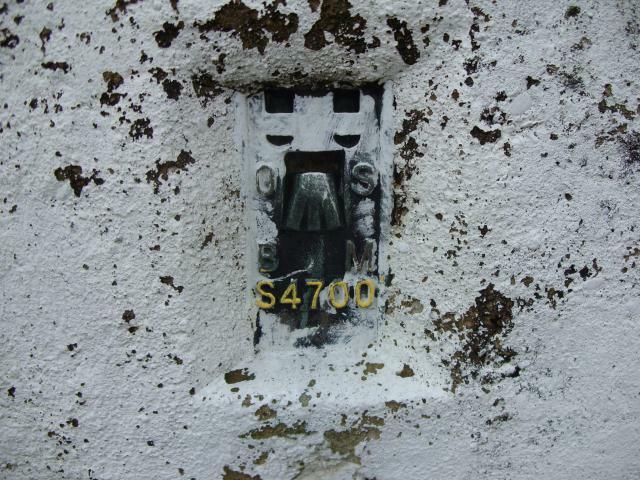 Last maintained by the OS in June 1976. 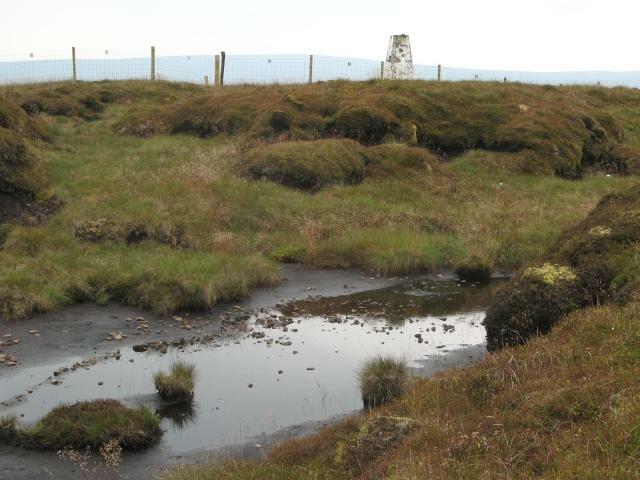 SITE VISIT: Approached from west, Trough of Bowland. Parked SW side of road just north of cattle grid at SD622530. 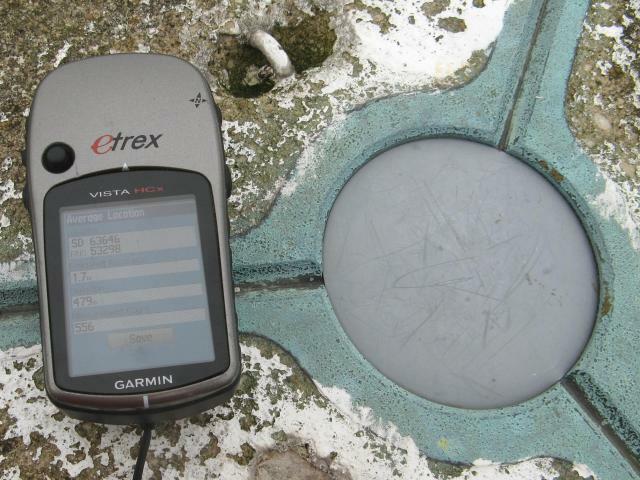 Followed mapped boundary line to summit. Pillar in good condition. Plastic cap in spider centre. 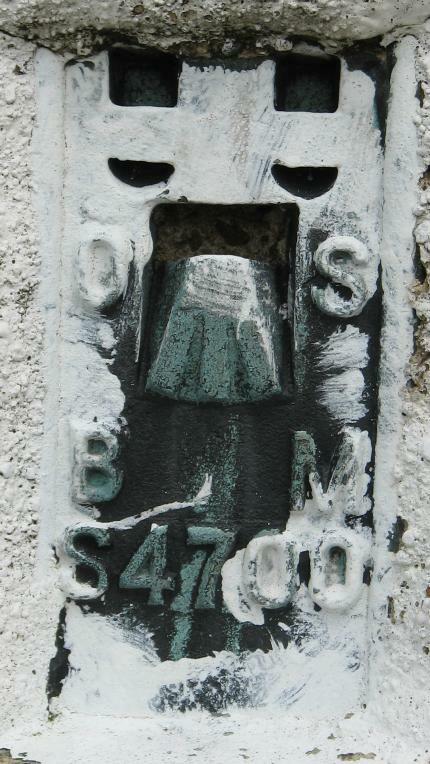 Flush bracket faces SSW, ~203�. Vented through SE sight hole. Full 360� panoramic view. Parked same place as Painterman.Followed fence half way up to gate on right,went through and followed a faint quad track all the way to another gate right next to trig.Trig with fading white paint,plastic plug and yellowed flush bracket,one sight hole open.Excellent 360 deg views even on a dull day like today.Bloody windy though!! Whins Brow. 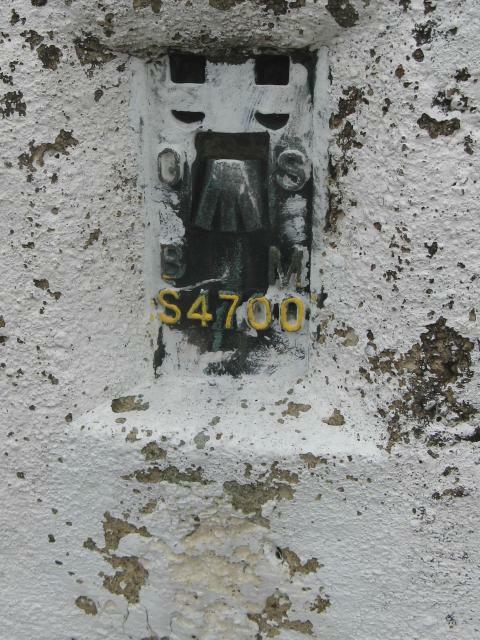 Flush Bracket.Yellow peril strikes again! Whins Brow. Spider & plug. Whins Brow. Stopped for a bite to eat! Whins Brow. 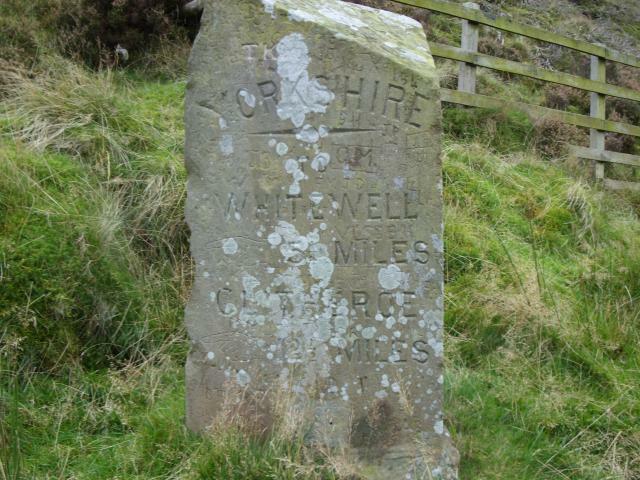 Wrong side of boundary stone!! Whins Brow. The right side!! Whins Brow. 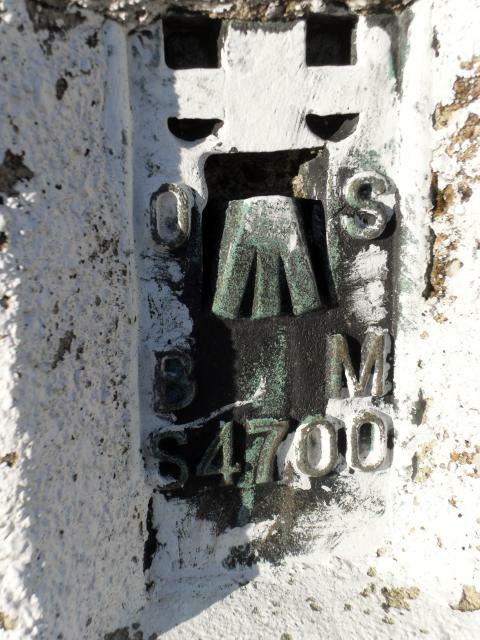 Plaque by boundary stone. Up the bridleway from the Trough, until the plantation, and then up the side of the plantation, through a gap in the wall, and straight up the fellside (which I assumed was open access). 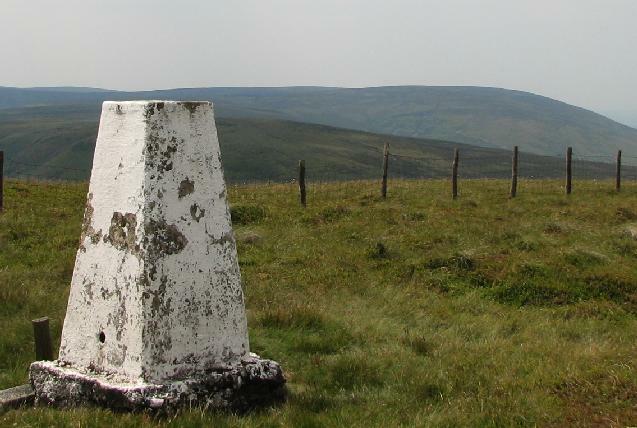 If you visit this trig, make sure it's a good, clear sunny day and you won't be disappointed. Fantastic feeling of space and peace and quiet. 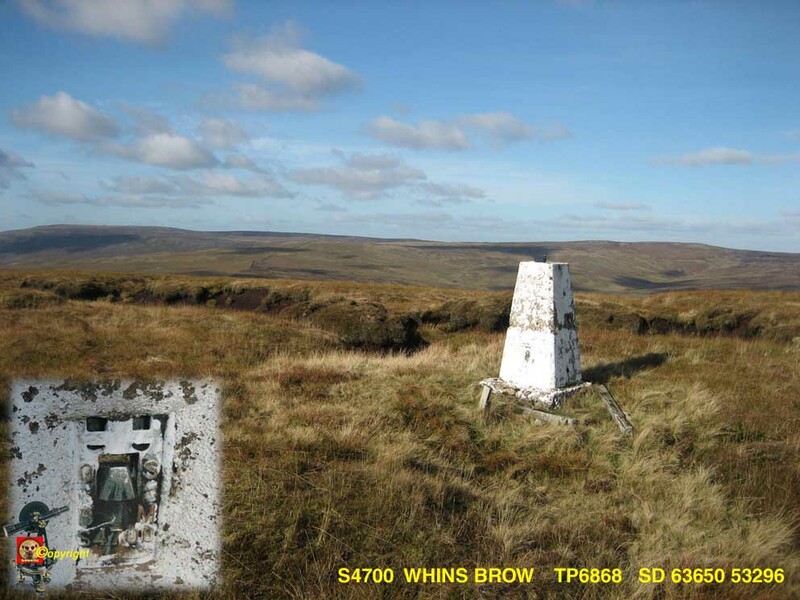 Whins Brow Location and cap. From Wolfhole Crag. Path a bit faint in places but no problems - just follow the fence. 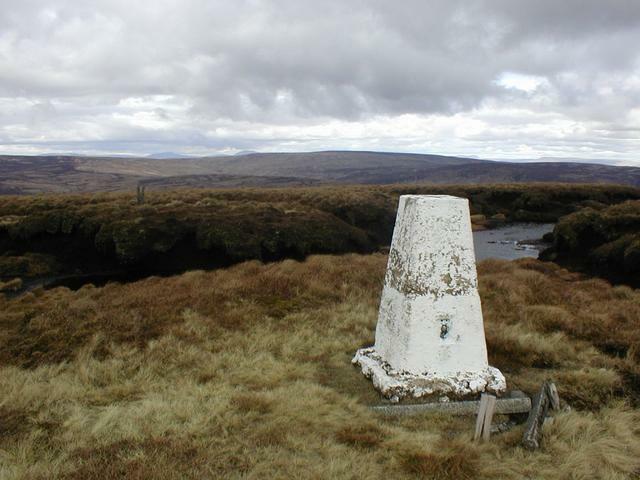 On to Dunsop Bridge for the bus, ending a fine 8-trig walk from Lancaster. 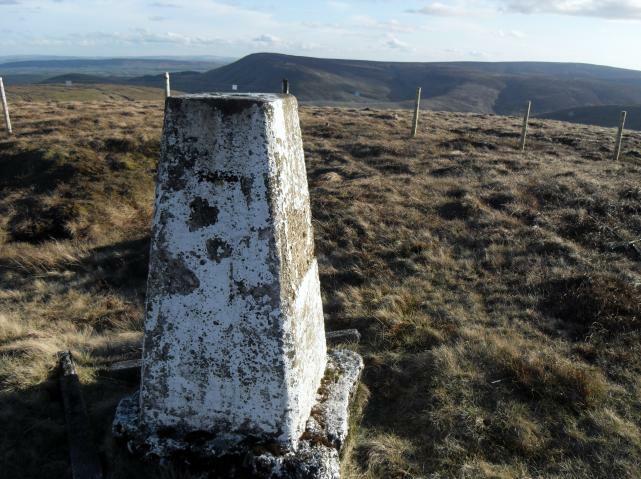 Walked up this one from boundry stone at trough of bowland fairly steep walk this one.Trig in vgc with plastic plug fading white paint breathtaking views in late evening sun. 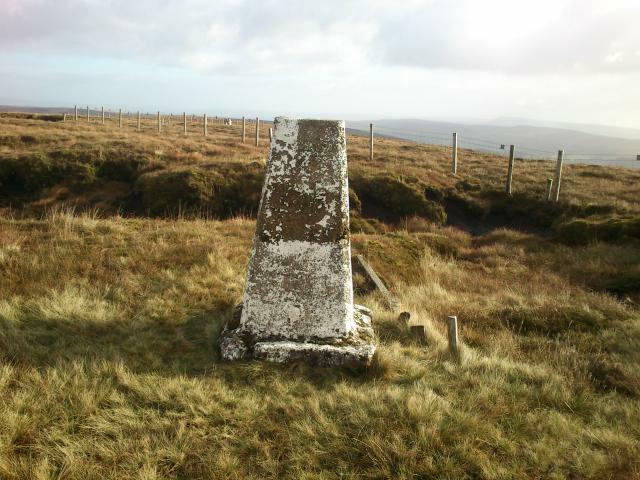 Followed fence up from Trough of Bowland boundary stone,rough going over typical Trough terrain(peat hags & grass). 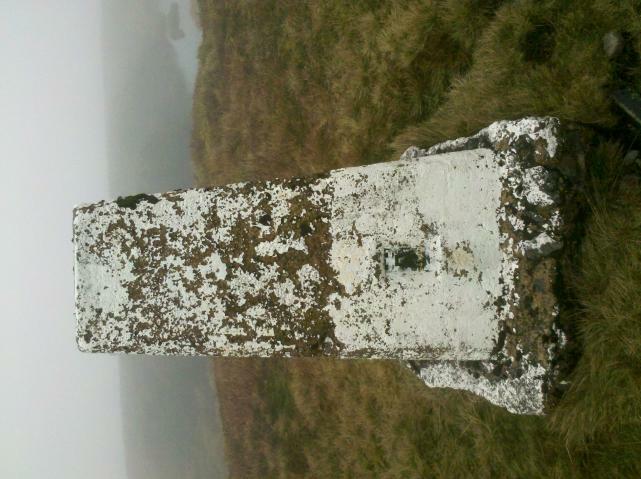 Wind howling at the trig with no views as it was shrouded in mist. Very atmospheric,it always seems wild & isolated in this area which is a winner in my book. 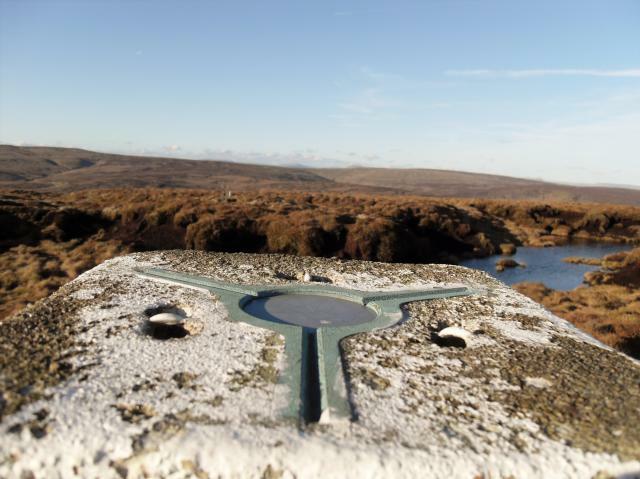 Good views, found a cache - very close. I understand someone painting the column, but where is the intelligence coming from to paint the FB? Did a bit of scratting to expose the number. GPS OTD. Found with team bullseys on our take a hike adventure. Great views. 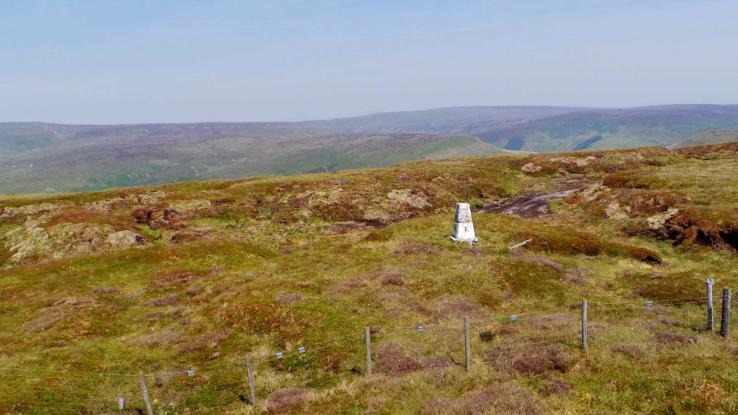 I've got most Bowland Trigs bagged now! Outstanding views. To be expected I guess - but they were even better than I anticipated. 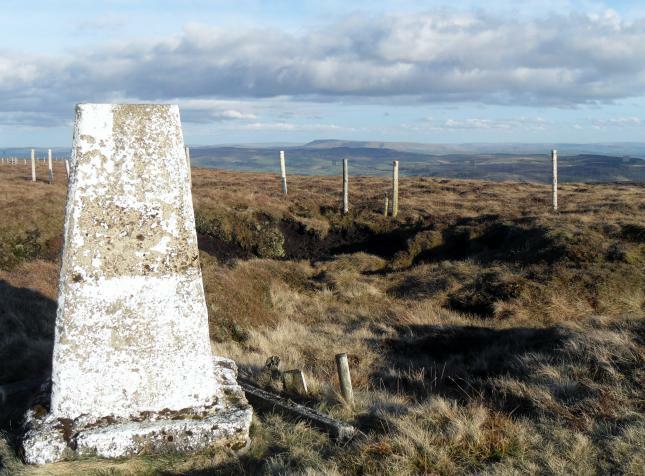 Trig in vgc, Followed fence up from Trough of Bowland road, Very good views. vgc, plastic cap, flaky white paint. 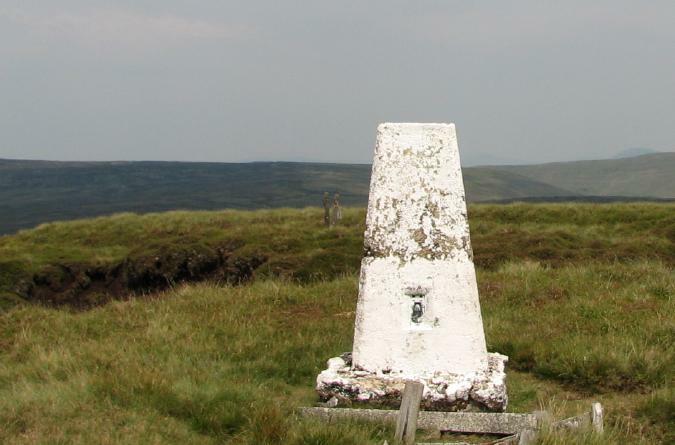 Pleasant peat-hagged summit; nice view of Bowland tops. 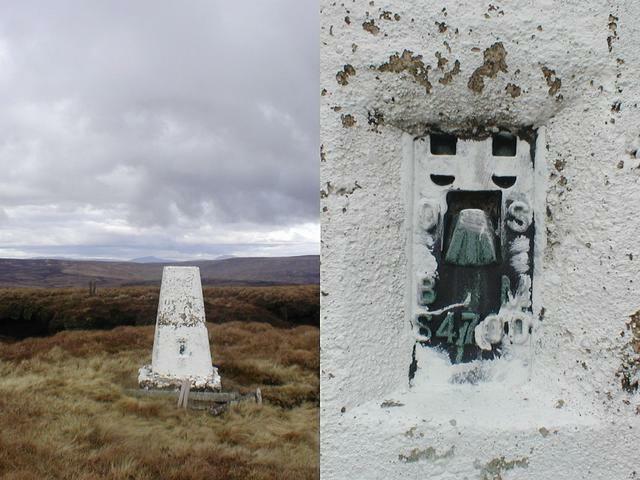 5-trig 2-car route from the Trough, with Duncan Elliott. 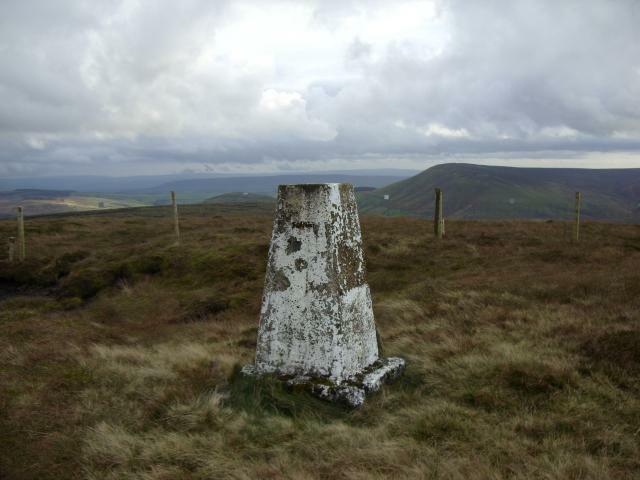 The high point of a circular walk from Dunsop Bridge. Direct ascent from Sniddle Holes with gound frozen during a cold and cloudy morning. Returned by bridleway to Trough Road then uphill back to car. 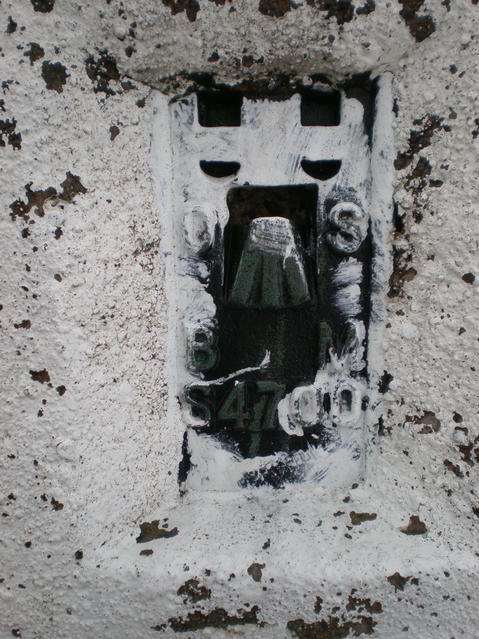 Flaking white paint; plug replaced by plastic cover; base exposed. 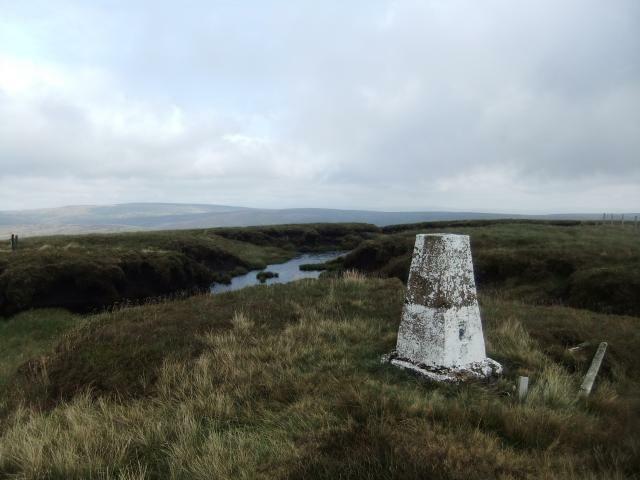 Good views of surrounding Bowland Fells with Ingleborough in the distance. 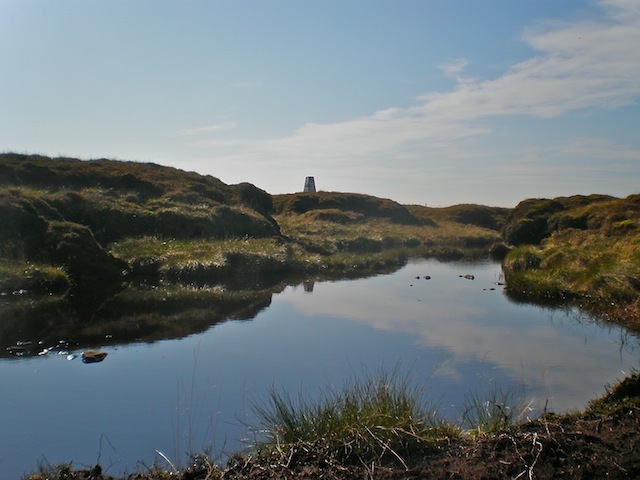 Boggy top. Notices have gone. 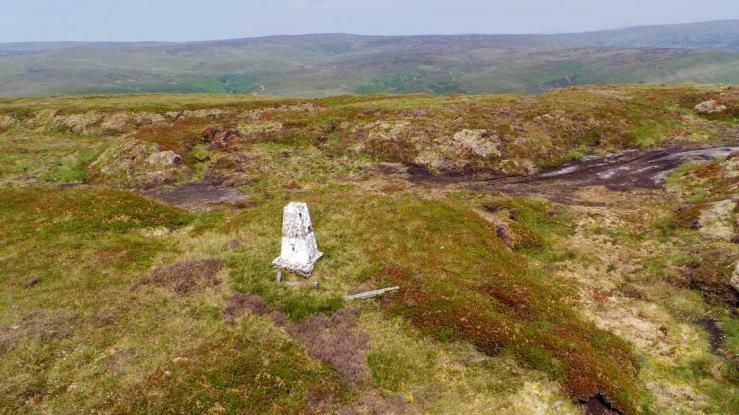 Trig in fair condition which is more than could be said of the trig-bagger after a direct ascent from the E in hot sun. 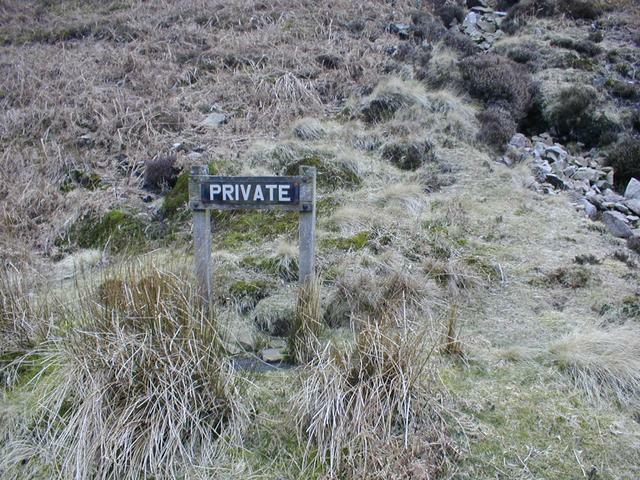 a lot of 'private' signs to ignore at the trough of bowland.